No, we are always involved with the work our volunteers are asked to do. We stuff envelopes alongside the volunteers instead of making calls because someone got sick and couldn’t come in and now we have a deadline, so we drop everything and stuff envelopes at the table too, making jokes and keeping the work light. 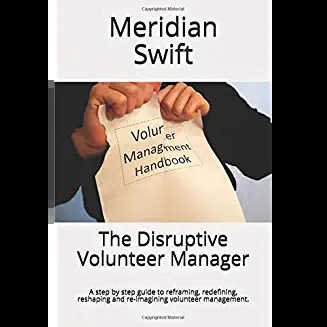 We ring the doorbell of a client in the field and accompany the volunteer that is unsure of an assignment because we are there to provide support and keep that excellent volunteer coming back. We lift the boxes of brochures in the hot sun at a fair because we don’t think the 70 something volunteer should have to do that and there is no one else willing to help. We delay eating our lunch because a volunteer making phone calls was not given enough information and we’ve seen what happens when volunteers feel inadequately prepared to complete an assignment so we grab the list, fingers dripping mayo and get to work. Yes, next to “hands-on” in the dictionary is a picture of a volunteer manager. While “hands-on” is a no brainer, I want to talk about some new phrases for us. What about “minds-on”? Do volunteer managers have the luxury to let our minds wander while at work and to leisurely think about what we will do on our day off? Will you ever find a volunteer manager at the computer, scrolling through the internet looking for the best deal on the next flight to Brazil or searching for the latest video game to buy for a six-year-old? Actually, you will, because as the volunteer manager scrolls through flights, there is a volunteer peering over their shoulder. Why, because the volunteer manager is looking up information for that volunteer whose home computer is being repaired, that’s why. 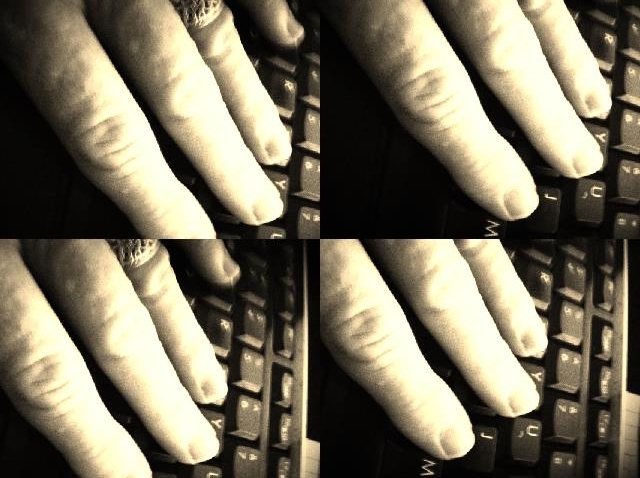 Volunteer managers don’t do “personal stuff” on work computers, unless it’s personal stuff for volunteers. Not only are volunteer managers “minds-on” at work, we are “minds-on” even on days off. We run into volunteers at the grocery store and discuss assignments. We meet a person who would be perfect for volunteering and stop to recruit. We see an opportunity for our organization to get involved and interrupt whatever we were doing to make sure we get the information to bring back to work. We talk to a person who knows a person who knows another person who might need our organization’s services and we make sure to listen with empathy, and get their information, all the while knowing that we are late to pick up our spouse who has been waiting by the side of the road for us to come. Our minds are seldom our own and even on vacations we are planning and producing. 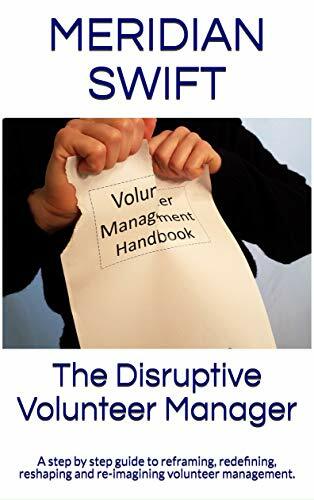 So, in the dictionary of made up phrases, next to “minds-on” there is a picture of, wait for it, a volunteer manager! But what about “feet-on”? We run up and down the corridors, making sure volunteer Anna is getting along with cranky volunteer Grace. We roam the hallways patting volunteers on the back, encouraging them to do their best while praising them for giving their time. We pace the hospital floor while a volunteer is being checked over because she fainted in the lobby. We walk a volunteer to their car in the rain, holding an umbrella because they forgot one. We run out to get water bottles, because the volunteers manning the booth are thirsty and we really don’t believe in letting them fend for themselves. We walk along side a volunteer who is tentative about their first assignment. We dance at volunteer functions to bond and let loose and get that party started. We jump through hoops to make sure volunteers are recognized and appreciated. Well, what about “eyes-on?” We watch a group of volunteers working and get a swell of pride. We peer around a corner to see how a volunteer is being treated, ready to step in if need be. We scan a volunteer’s face for clues into his sudden sadness. We observe the tender way a volunteer is interacting with a child and we step back, not wanting to break that bubble of perfection. Or “ears-on” as we listen for any mention of skills and interests that we can help volunteers tap into. We strain to hear the nuances of a client’s needs so that we can find the right volunteer for her. And there is yet another phrase to consider. While we are “hands-on”, “minds-on”, “feet-on”, “eyes-on” and “ears-on” we are also very much “hearts-on.” Does your heart not ache when your volunteer walks in and sits down, holding back tears to tell you their spouse or child or parent died? Does your heart not soar when your volunteer is flush with excitement because he had a moving experience with a client? Does your heart not sing with pride when a student volunteer is accepted into a prestigious university and you are one of the first people to know? Does your heart not cry when a volunteer suffers from depression or a debilitating disease? Does your heart not melt when you listen to a volunteer describe how they fell in love with their spouse of 50 years at a chance encounter? Does your heart not bleed when a volunteer tells you over lunch that they are dying and they want to continue volunteering? Does you heart not beat stronger when a volunteer tells you that you have made a difference in their life by your mentoring? Does your heart not care about your volunteers so much it is almost embarrassing?